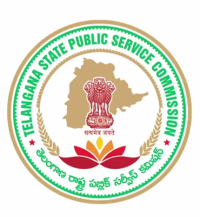 Telangana Recruitment 2018: Telangana State Public Service Commission (TSPSC) has announced that 2,786 vacancies under Group-IV, VRO and ASO categories would be notified on Saturday. Telangana Govt is all set to fill 2786 vacancies under various departments of Telangana State. TSPSC will release the notification on 2nd June 2018 for Group IV, VRO, ASO, Junior Assistant & Senior Steno vacancies. Telangana Government has released on the occasion of telangana state formation day to give benefit for the people who are living in telangana state. Of the total posts, 1,521 are Group IV in various departments, including Revenue, Panchayat Raj, Commercial Tax, Forest, Home, I & CAD, Disaster Response and Fire Services and Medical & Health Department. This apart, 700 posts of Village Revenue Officers (VRO) under Revenue Department, 474 Mandal Planning and Statistical Office/Assistant Statistical Officer (ASO) posts in Directorate of Economics and Statistics Subordinate Services department and 19 vacancies of Senior Stenographers, of which 13 are in Revenue and six in Home Department, will be notified by the Commission. In TSRTC, 72 posts, including Junior Assistant (Personnel) and Junior Assistant (Finance) will be notified.